Don’t know the process of correction in your voter list? 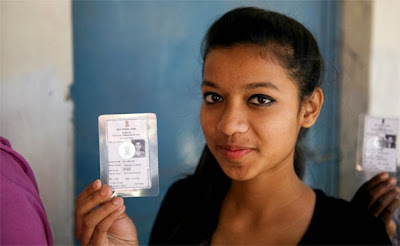 Do you have any name correction in voter ID? Want to know how you can apply for correction in voter list? Find that information given here under. Read it carefully. If you are searching for a correction details in voter ID card online than you are at right place! Here, I have included the official information on how to do name correction in voter list. Many of us face problem of minor spelling mistake in voter ID card. However, how to correct that mistake? Here are step by step instructions for correction in voter list (name correction). First of all, you will need to have existing voter ID card and scanned passport size photograph to go for further procedure of changing or correcting the name in voter ID card. 1. Go to the official website for correction of name in your voter ID. You need to find the official website of your district. (If you live in Bihar than go to http://ceobihar.nic.in/). 2. Now, click on the e-Registration tab. 3. Find the “Form 8” and click on it. 4. After that, select your territory or district. 5. Upload your passport size scanned photograph. 6. Fill up your personal details including name, address, and details of existing voter ID card. 7. Now, press the translate button and click on save button. 8. On the next page, you will get the acknowledgement and application ID. 9. It is recommended to save and note your application ID for future reference. Check How to Get Duplicate Voter ID. These are the official and correct details for correcting your name in voter list. How simple it is! You just need to find the official website for your state. For example, if you live in Gujarat than you must go on the http://www.ceogujarat.nic.in/ (For Delhi, its http://www.ceodelhi.nic.in/ Like wise). Find your state’s official electoral officer website and apply for correction in your Voter Id name. Still have confusion for correction in voting list? Don’t worry! Write in a comment box given below to ask a question regarding how to apply for correction in your Voter ID card. Feel free to ask a question!